Students study classical and modern techniques through a practice focused on ensemble and performance work. Students ages 10+ learn to draw, write, and storyboard their own comic books with writer and artist Gina Trujillo. Young dancers ages 3-5 learn fun routines that help develop focus, motor skills, listening skills, and social skills. Students ages 10+ develop and workshop their original fiction, poetry, short stories and plays as a group. Students learn traditional Spanish steps and routines as they develop grace, focus, agility and strength and perform as an ensemble. Students develop flexibility and strength in a supportive environment as they learn street dance techniques. Students develop science, tech, engineering and math skills through creative art projects that incorporate technology. Students ages 10+ learn to cook simple and delicious recipes as they learn about the importance of nutrition. Students develop focus and physical fitness through study and performance of traditional dance routines from Mexico. Students learn music theory, technique, and improvisation as they practice and perform music in an ensemble class. Students ages 3+ develop musical ability and listening skills through the Suzuki method. Students develop confidence, memorization and acting skills through class exercises and ensemble performance work. Students learn music theory and guitar technique as they interpret songs and play in a group with other musicians. Students ages 10+ learn how to record their own songs and use equipment in a recording studio environment. Students develop rhythm and focus as they learn dynamic tap and jazz routines that help develop performance skills. Students learn to sew using machines and by hand as they design and create their own unique fashions. Students develop flexibility, strength, and discipline in large group classes through progressive, safe routines. 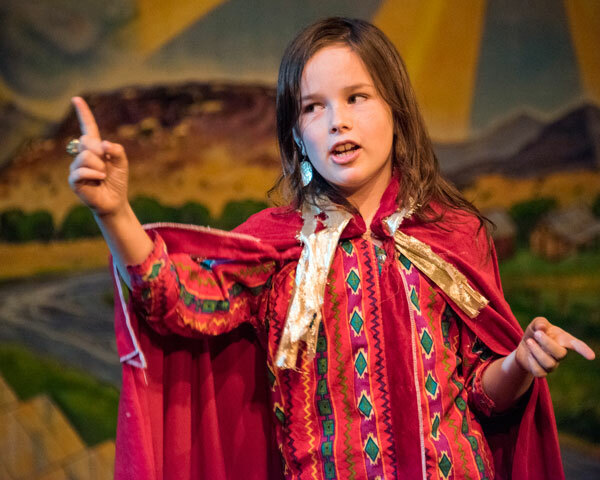 Students develop voice and acting techniques through the performance of children's songs and musicals. Students develop skills in drawing, painting, sculpture, collage and fiber arts. Work is displayed in a group gallery show.